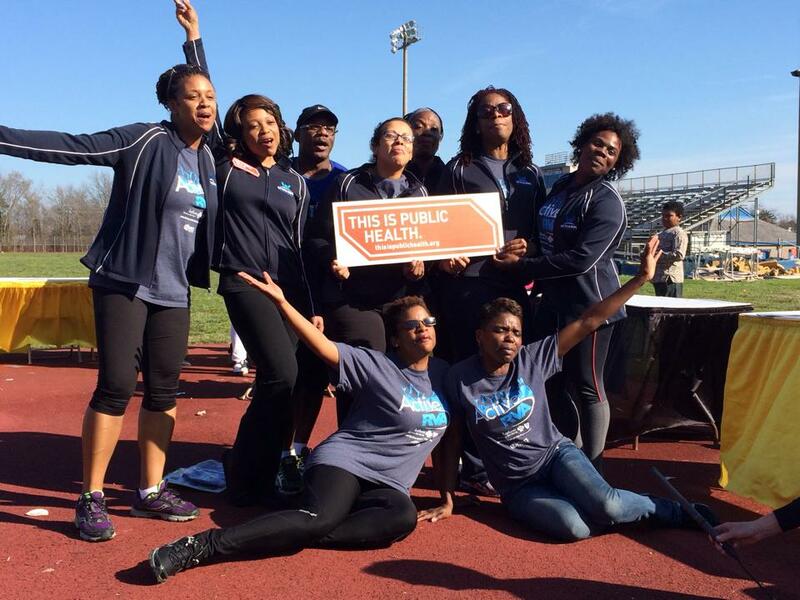 Sports Backers, the Anthem Blue Cross and Blue Shield Foundation, and the Richmond City Health District announced the launch of the second class of the Active RVA Fitness Warriors Program today! The application period for those interested in joining the program opens on May 11 and the deadline to apply is June 12. With support from The Anthem Blue Cross and Blue Shield Foundation, the Active RVA Warriors program trains members of the community with talent, passion, and potential to be professional fitness instructors for Richmond’s communities with the highest rates of chronic disease. Active RVA Warriors are selected for their skills and leadership and receive training to be certified group exercise teachers. Throughout the program, Warriors meet as a class and get dedicated training and support from professionals in the field. The first class of Warriors in 2014 included 18 graduates who taught an average of 25 free fitness classes per week in various neighborhoods and communities around Richmond. The program will grow in year two, training and graduating close to 50 percent more Warriors to help others reach their fitness goals. Warriors will work in communities to expand the fitness opportunities offered through churches, schools, senior residences, community centers and other settings. By teaching these weekly classes around Richmond, Warriors hone their skills and provide a vital resource for communities that otherwise lack ready access to fitness and physical activity opportunities. South Side: Monday, May 11 at Bellemeade Community Center, 6:30 p.m.-7:30 p.m.
East End: Wednesday, May 13 at Family Resource Center, 6:30 p.m.-7:30 p.m.
North Side: Monday, May 18 at North Avenue Library, 6:30 p.m.-7:30 p.m. The Active RVA Warriors program is funded in part by a $150,000 grant from the Anthem Blue Cross and Blue Shield Foundation to Sports Backers. To learn more about applying for or hosting group exercise classes for your community, visit www.activerva.org/about/projects/warriors.